I do love a boutique London hotel, and I'm so lucky to go to so many on press events. Last month the rock n' roll Soho Sanctum Hotel have launched a range of bags designed by tattoo artist Dan Gold, so that you can have a little of the hotel vibe with you. 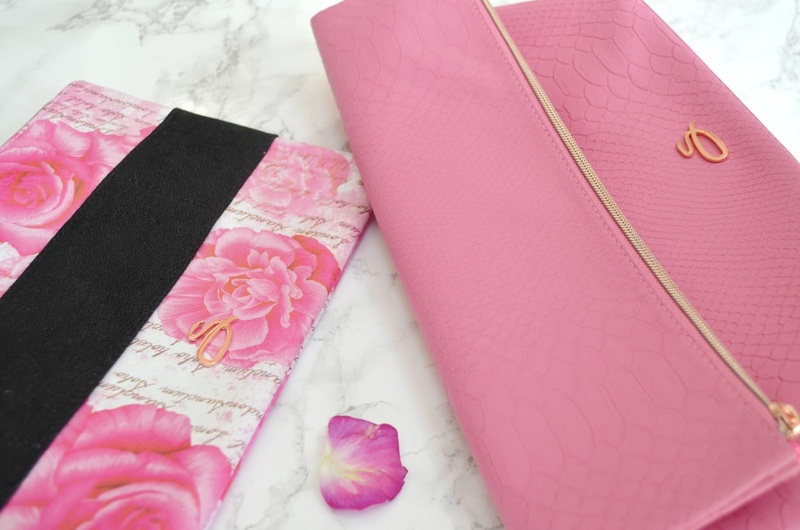 The rose-inspired range is perfect for a weekend away, as you can use the bags to carry your makeup in for the trip up and then use as clutch bags when you are at your destination, be it Soho or Shanghai! 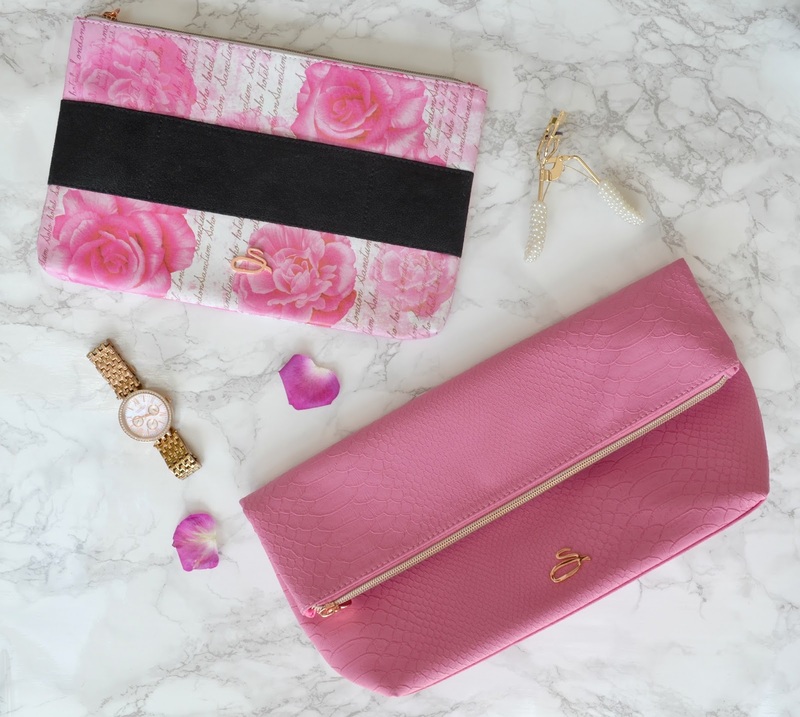 My fave of the range is the Rose Slouch Travel Bag ( £26 KeepMeInspired.com) which looks more like a clutch than a makeup bag with the folded detail. The roses on the Rose Script Cosmetic Clutch Bag (£19 John Lewis) are also really pretty and feature the name of the hotel written in script over the bag, as well as the metal logo in rose gold which is on all the bags in the range.